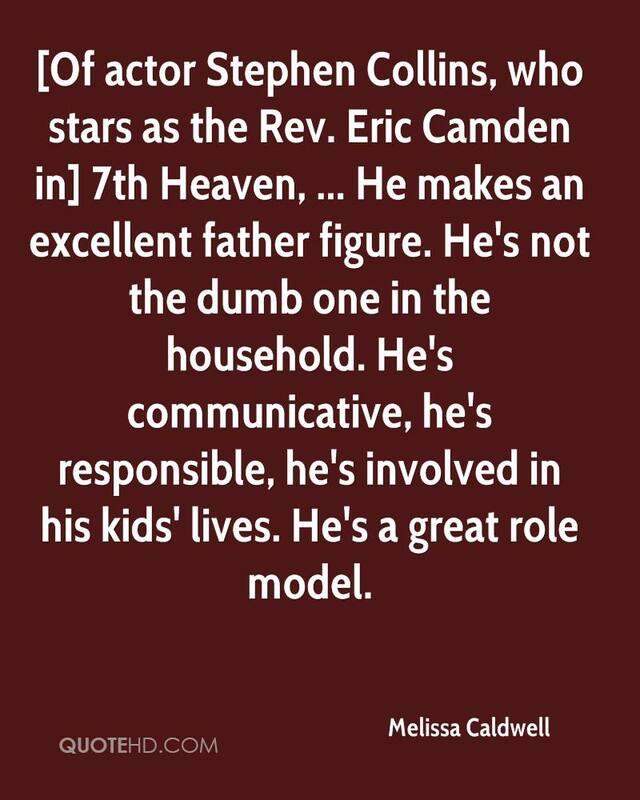 [Of actor Stephen Collins, who stars as the Rev. Eric Camden in] 7th Heaven, ... He makes an excellent father figure. He's not the dumb one in the household. He's communicative, he's responsible, he's involved in his kids' lives. He's a great role model.